For Akio Sato, whose electronic components company and home were decimated in the massive Tohoku tsunami seven years ago, starting a fashion business that would one day receive a royal endorsement was all but impossible to imagine. The magnitude 9.0 earthquake and ensuing tsunami destroyed Japan's northeastern coast on March 11, 2011, dealing a devastating blow to the lives of many, including Sato and his Minamisanriku-based business which produced cables and other parts used in electronic devices. Sato, 67, resumed operation of his company less than a month after the calamity by renting an office in a neighboring city. At the time, he was living in a crowded evacuation center in the tsunami-hit town where electricity had not yet been restored and gas was in short supply. "I never thought about closing my company or firing (workers)," said Sato, who runs Asutoro Tech, which now employs around 20 workers in Minamisanriku. "If you lose your home and family, losing your job, too, is just too much to bear." In order to restore a sense of normalcy to his and his employees' lives, Sato said he went back to work. A few months after restarting his business, Sato got an offer from apparel company officials who were visiting from Tokyo for a cherry blossom planting project in the area. The officials engaged in "Loom Nippon" support activities for the disaster's victims were seeking a local partner to make bags. Sato said he was their man. Although his company had no experience in the fashion industry, Sato jumped at the chance. "I knew nothing (about fashion) but said 'I'll do it' right away." "I was hoping that it would generate jobs, even just one or two." 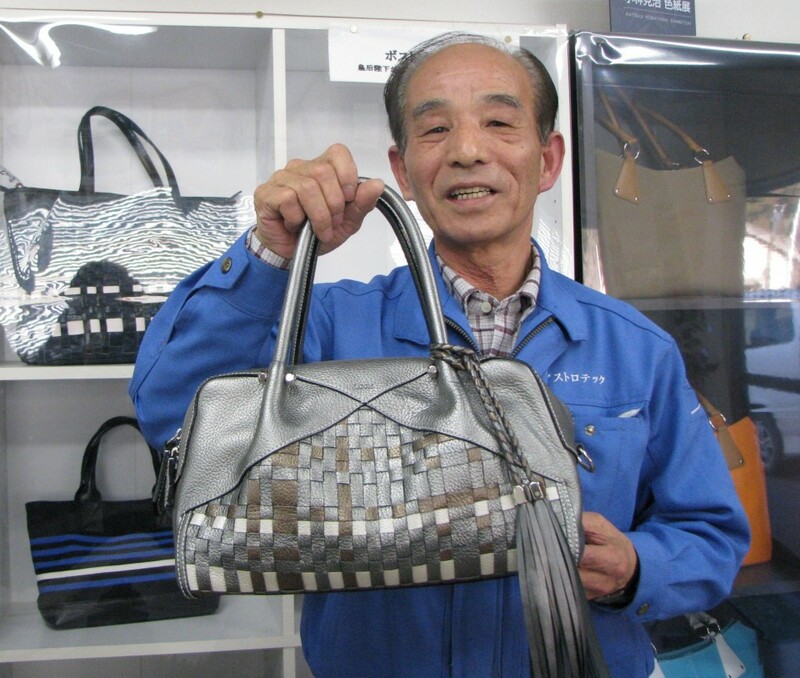 Sato's workers, who were more accustomed to making miniature componentry, transferred those skills to dexterously weaving leather, and within a year had gone from making just one part of the bags, to producing them entirely. Sato brought his company's operations back to Minamisanriku in October 2012 after taking on debt to build a new plant. The company's first bag, which retails for 60,900 yen ($570), features a black leather weaved design with contrasting white leather to represent "the stars that shined so brightly" on the night after the towering tsunami extinguished all of the town's lights, Sato said. In an unlikely turn for the new venture, one of the company's bags found its way into the possession of Japan's Empress Michiko. 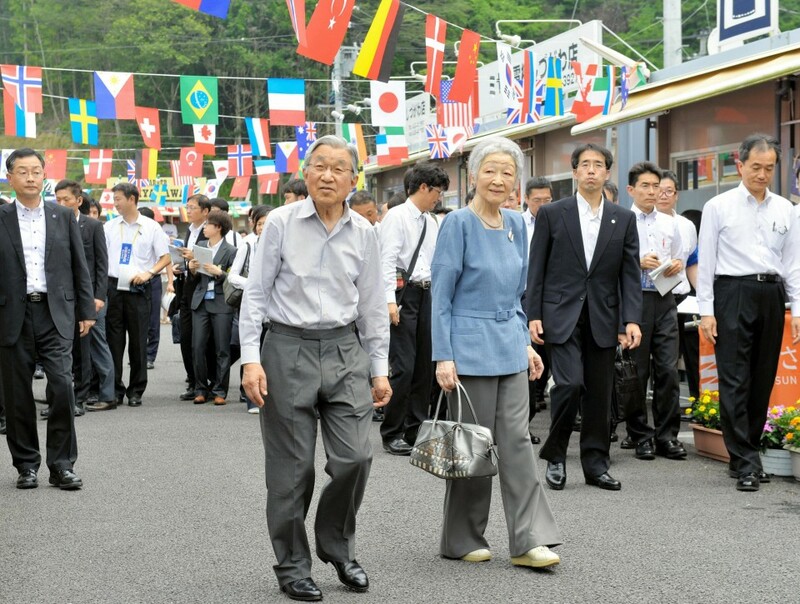 The 83-year-old royal used it while traveling with Emperor Akihito to disaster-hit sites, including Minamisanriku in July 2014. "I was speechless," said Sato, who cried when he saw the empress holding his company's product. "This shows how the empress gives her heart to disaster-stricken areas and it just happened to be our bag, it could have been anything," he said. "But it definitely serves as an emotional moment for us." Minamisanriku, a small fishing town in Miyagi Prefecture, was among the hardest-hit. The tsunami flooded most buildings in its downtown area, including the town's three-story disaster prevention center where 43 people hunkering down on its roof were swept away and killed. Over 800 people died or remain unaccounted for in the town which had a population of around 17,700 at the time of the disaster. On the day of the earthquake, Sato was out of town visiting the neighboring city of Kesennuma. Soon after the 2:46 p.m. temblor, Sato, who had experienced a tsunami in Japan caused by the Valdivia earthquake in Chile in 1960, evacuated soon and began driving back to Minamisanriku. Usually, the trip would take about an hour but it was almost midnight when he arrived because he was forced to detour far inland and could not drive the final kilometers because the roads were strewn with debris. Houses had been reduced to splintered wood and twisted metal while cars and fishing vessels had been tossed aside, he recalled. Stunned beyond belief by the sheer devastation, he got out of his car and started walking. "(The town) was in total darkness because of the blackout and only the stars were shining brightly. Thanks to the light of those stars, I somehow figured out the direction and reached the school" where he reunited with his family although his home had been washed away. Today, construction continues to significantly lift from sea-level the town's once-thriving waterfront hub to take it out of the reach of a future tsunami, while residential areas have been moved to higher ground inland. 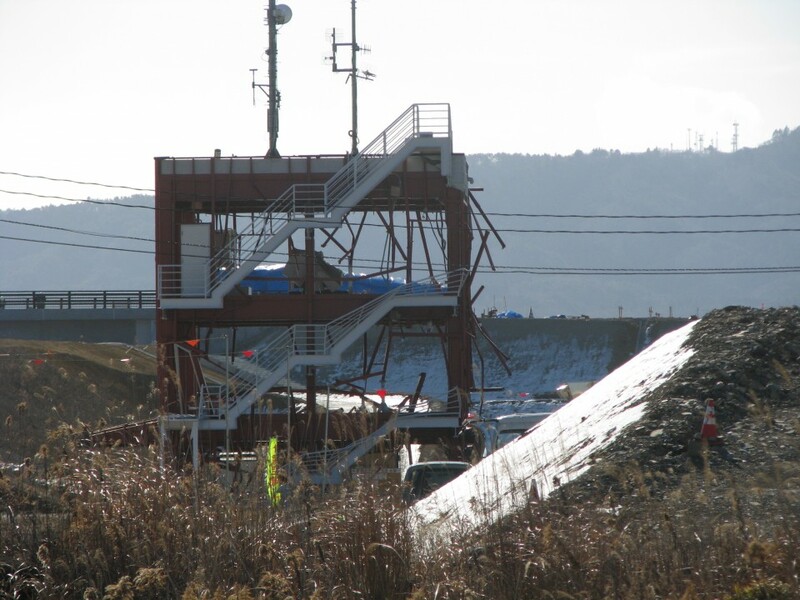 The skeleton of the tsunami-ravaged disaster prevention center remains in the former central district, with construction vehicles and huge dirt piles left over from earthworks. Asutoro Tech now juggles the production of electronics and its bag manufacturing business. The bags made famous by the empress became so popular at retail stores and online that orders sometimes outstripped the company's ability to make them. But Asutoro Tech has branched out with original designs to ensure further growth. The company has more than doubled sales since the pre-disaster level and has not laid off a single employee. Sato believes manufacturing basics remain the same, no matter what the product: always keep the customer in mind. "This may be an audacious dream, but I'd like to make this town a major fashion manufacturing hub," he said. Minamisanriku's population has been on the decline and the issue was only exacerbated by the quake and tsunami, with its population now more than 30 percent lower than pre-disaster levels. To recapture the town's vibrancy, jobs are vital, Sato said. "If we can show that the jobs available in Minamisanriku are not only those on the seas or in the mountains, it would mean that there are an increased number of work options for people who left the town but would like to return." "I want to play a part in reconstruction, not just to restore things to their previous state, but also to contribute to an evolution of my town."